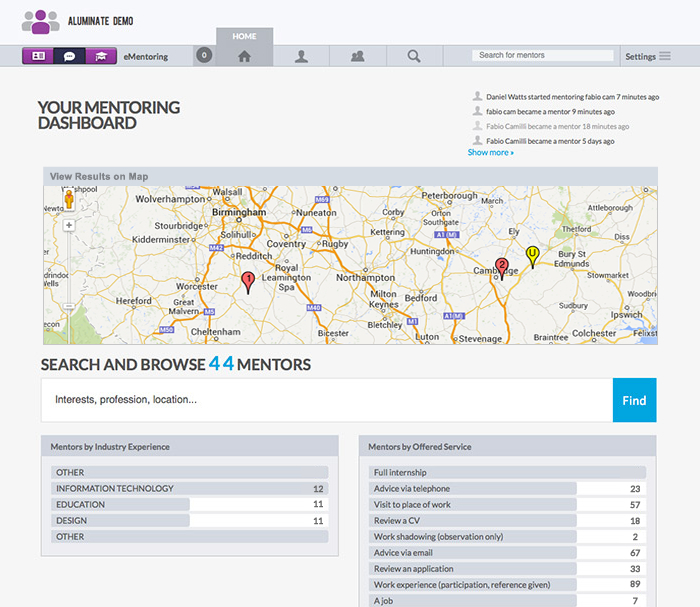 The Dashboard allows all users to see a variety of useful mentor information at a glance, enabling them to quickly access every area of the system and become or search for new mentors. Visual Lists and Alumni Map enhancement modules help them quickly browse mentors by location, industry experience, course and offered service. 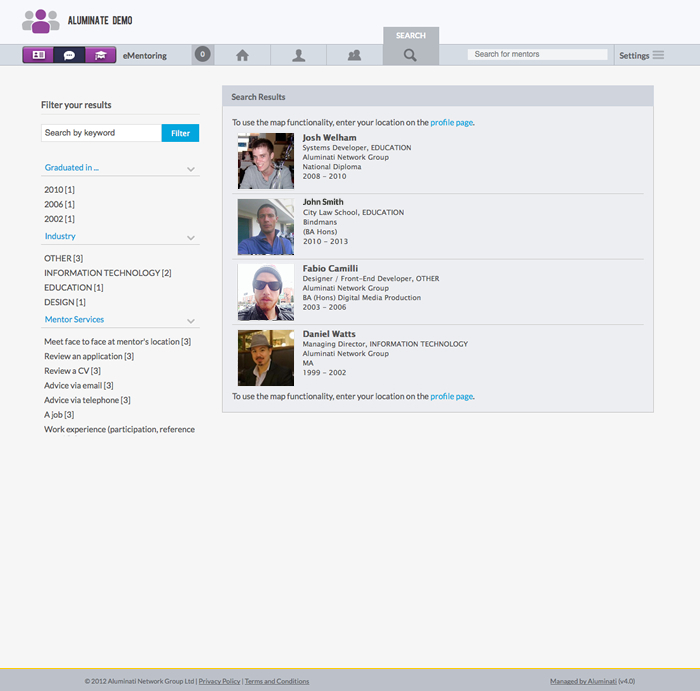 The Mentor Profile is presented upon your first log in and allows any member to instantly become a mentor. 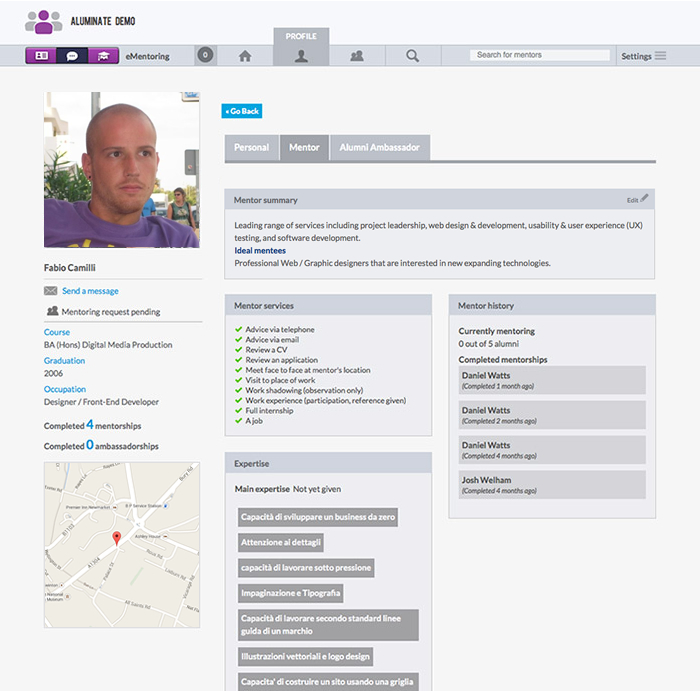 Profile information includes professional history, areas of expertise, education and a short bio about your background. The search option will filter any results in a number of different ways to ensure that the results are tailored to your needs. 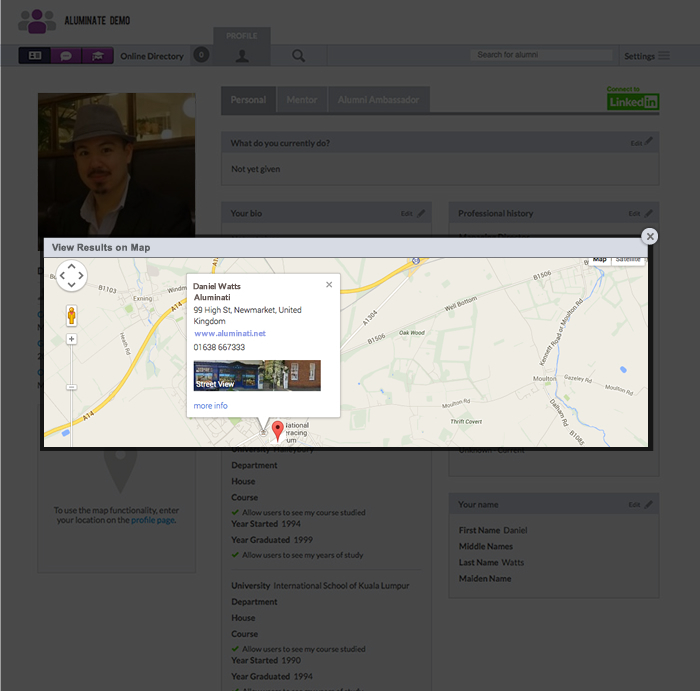 A prompt will be shown if any candidates from your search can be pinpointed on a map. When viewing another mentor profile, you can see what particular services they are offering, how many mentoring relationships they have completed and whether they are available. You can then send them a private message, or a mentoring request specifying the services you would like to take up. 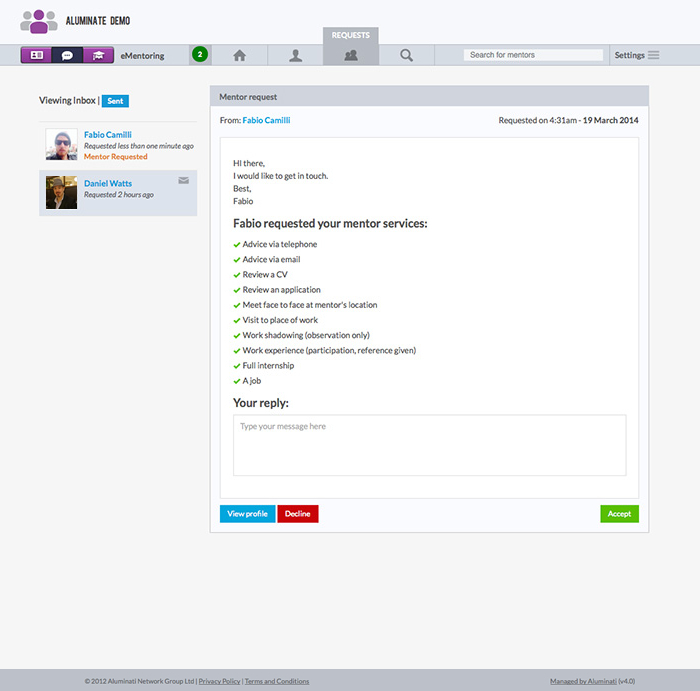 Using the 'Mentor Request' option opens a window where you can select the desired services available from that particular member and add a personal message. 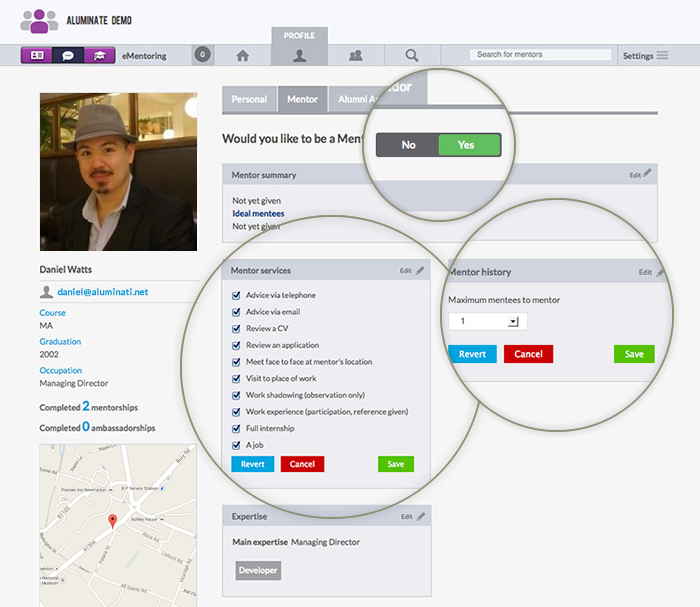 View your pending mentor requests and check their status. 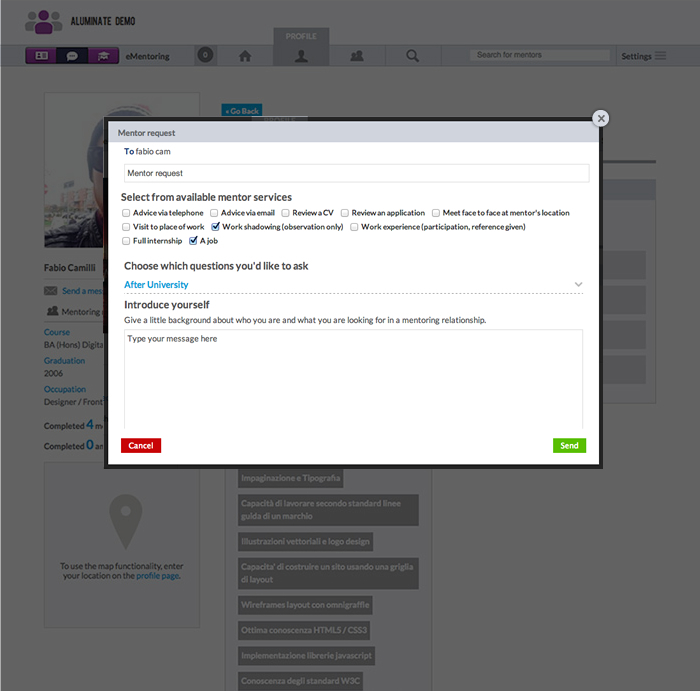 You can reply to messages, approve or decline requests and open the profiles of the relevant contact. 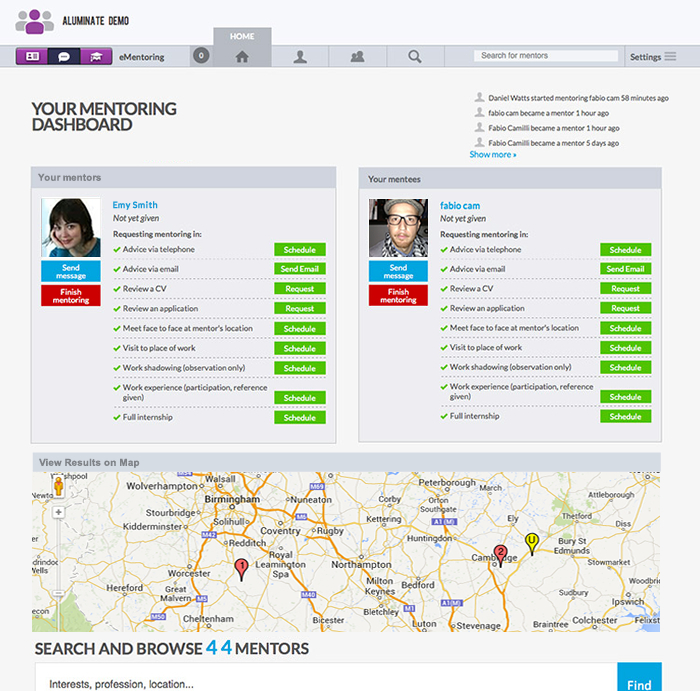 Keep up to date with your mentors/mentee relationships on your personal mentoring dashboard. 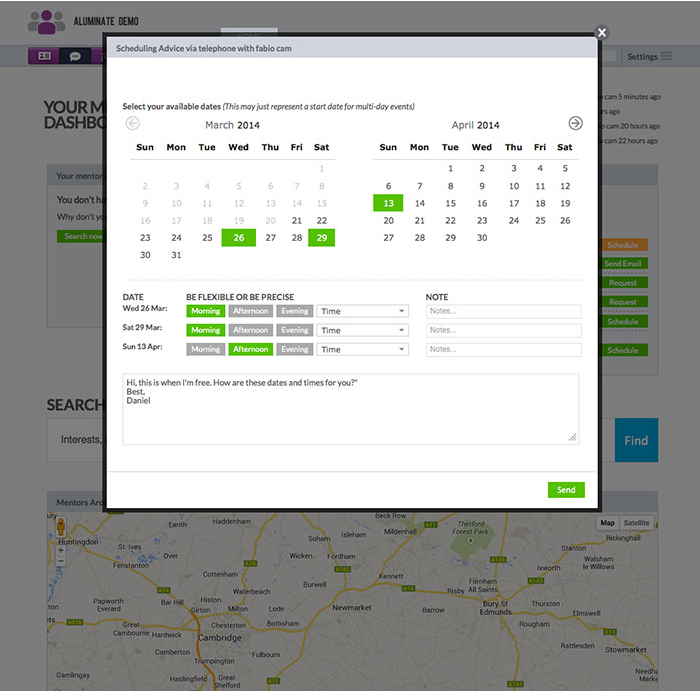 Schedule meetings, send emails and request or send CVs to different contacts all in the same place. Once a mentoring relationship has been agreed it is important to encourage the mentor and mentee to take steps to ensure the agreed actions are followed through. We allow participants to do so within Aluminate. 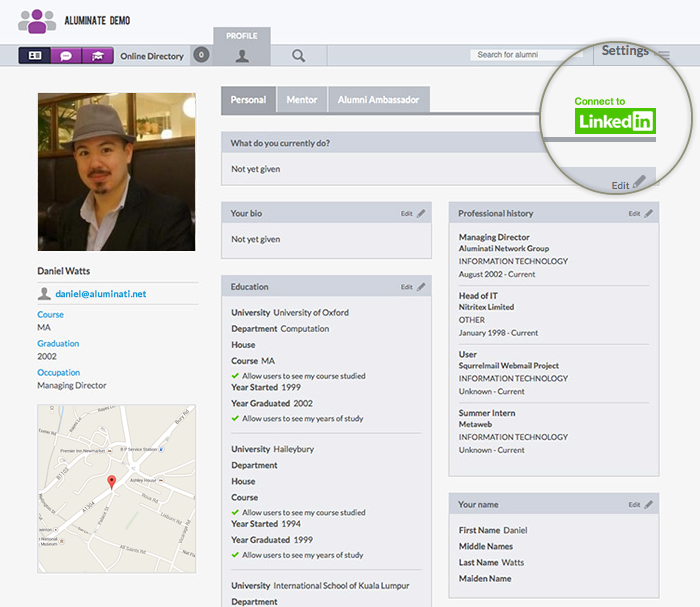 For example uploading a CV or scheduling a meeting directly within the platform.